Put some oomph into your intentions with simple strategies to keep you on track. The new year brings new resolve. But if this is the year you're finally going to start exercising and keep exercising, you'll need strategies to back up your good intentions. "Research indicates that people have limited reserves of willpower that are taxed by many different aspects of life, such as eating a healthy diet or doing household chores. If you exhaust your will-power in one area, you'll have less to expend in the others," says Rachel Wilson, a physical therapist with Harvard-affiliated Brigham and Women's Hospital. If you are returning to exercise after a long break, or if you've never exercised, get your doctor's okay first. 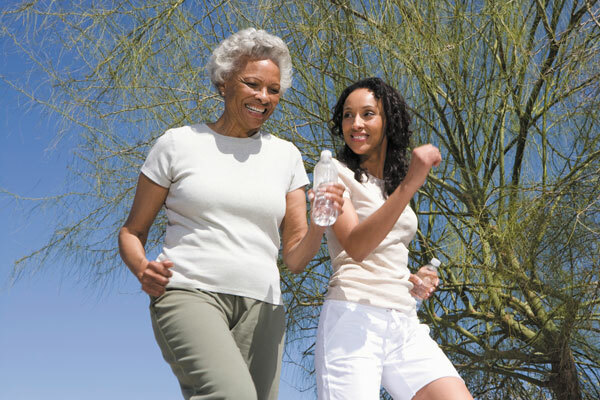 Then use some of the following strategies to stay on the path to a healthier lifestyle.